Engaging the professional community of Canadian and International filmmakers, writers, producers and broadcasters. 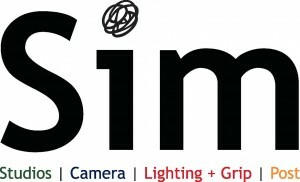 Our goal is to provide stimulating, up-to-date information and access to the world of environmental films and funding. Professional modules include the Master Class, networking opportunities, the Green Pitch competition and DocBOX Toolkit sessions filled with an outstanding line up of VIP guests. Reception will follow the modules to close the day in a relaxing mix & mingle. This session provides a rare opportunity for 7 selected independent filmmakers to meet face-to-face with 7 major industry stakeholders including broadcasters, commissioning editors, producers, distributors and government & private funding agencies. The day starts with a breakfast mingle over registration and then filmmakers pitch their new projects one-on-one to each of the industry guests. Filmmakers receive professional feedback and form new relationships in order to move their projects forward and get them made. Applications are open until Monday, October 15, 2018. This session focuses on some of the key relationships necessary to get your film funded, produced & sold. Broadcasters, digital media providers, funding agency reps and distributors discuss the latest trends in financing, co-productions, distribution and the future of branded content. This session explores the many new and innovative platforms for alternative film production, including how to save on budget and be more environmentally friendly on set. Each year, Planet in Focus hosts a Master Class workshop with an established filmmaker and PiF alumnus. This year’s workshop will be with Ann Shin. Hosted by Marc Glassman, PiF Senior Programmer. 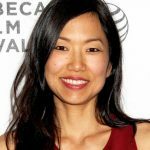 Ann Shin is a multiple award-winning Director, Producer and principal of Fathom Film Group. Her film My Enemy, My Brother the feature documentary won GRAND JURY AWARD at the San Diego Asian Film Festival in 2017. The short version of the film was shortlisted for a 2016 Academy Award and nominated for an Emmy and was an 8-time winner of Best Short Documentary at international film festivals including Traverse City Film Festival, Grand Prize Winner of the Best Shorts Humanitarian Awards, the Sepanta Award for Best Short Film. Her cross-platform project The Defector film was selected into 27 international festivals, and was nominated for 6 awards, winning Best Documentary and Best Documentary Director at the 2014 Canadian Screen Awards. Planet in Focus is proud to be presenting her latest film The Superfood Chain at this year’s festival. This panel explores the world of distribution, sales and the many options and strategies for finding your audience, followed by an audience Q & A. Moderated by Julian Carrington, Distribution Manager at the Hot Docs Canadian International Documentary Festival. A highlight of Industry Day is the Green Pitch. Six selected filmmakers pitch their film idea to a panel of industry judges and in front of the conference audience. 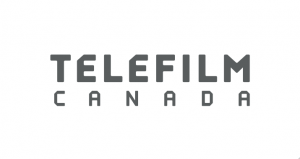 The winner receives a prize valued at $30,000 in services & cash to put toward the production of their project provided by Ontario film production suppliers. 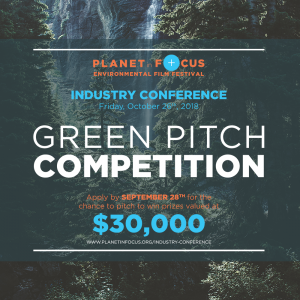 See the 2018 Green Pitch winners here. Along with the coffee and refreshments breaks throughout the day starting with an early morning registration mingle prior to the one-on-one sessions, and in breaks in between sessions, this post-conference reception will be chance for participants to mingle with industry guests over wine & cheese providing participants and guests an extra opportunity to unwind, mingle and network in a casual setting. James is currently the Manager of Sales and Distribution at Juice Worldwide. Juice is a top provider of both encoding and licensing services for the world’s leading OTT platforms including, iTunes, Netflix, Amazon and many others. Prior to his role at Juice, James worked in business affairs for RTR Media, digital services for Cookie Jar Entertainment then DHX Media, permit member of IATSE 873, and has also worked in the non-profit sector at both the Documentary Organization of Canada, and the Canadian Film Centre. Robin Smith is currently the owner and President of KinoSmith Inc. – Canada’s premiere boutique distribution and film marketing company – and CEO of the newly founded company Blue Ice Docs – a new distribution and equity funding company dedicated to funding, acquiring and distributing the best non-fiction work from around the world. Robin brings a strong background of over 22 years of film, video and arts-related work to the marketplace having worked at a variety of distribution companies (National Film Board of Canada, Alliance Films, Lions Gate Film Entertainment, Seville Pictures and Capri Releasing) and has managed and navigated the release of such hits as CROUCHING TIGER, HIDDEN DRAGON, ALL ABOUT MY MOTHER, AWAY FROM HER, CAVE OF FORGOTTEN DREAMS and BLACKFISH. Robin also acts as the Cinema Programmer for the Bloor Hot Docs Cinema in Toronto that is operated by the Hot Docs International Documentary Festival. The Bloor Hot Docs Cinema is a 727 seat cinema dedicated to screening documentaries throughout the year. 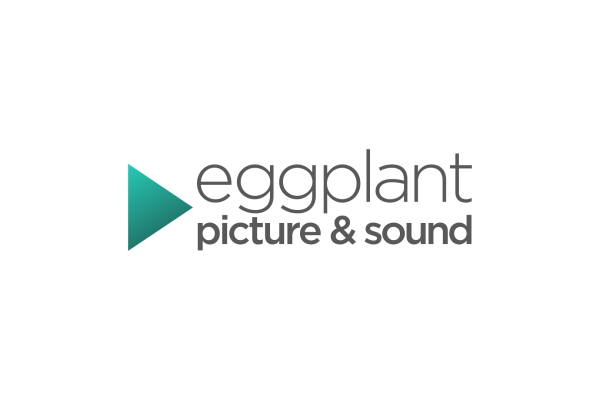 Bruce Fleming is partner and audio lead of eggplant picture and sound, which is a full service post facility catering to all genres of television, film, commercial and music production. Bruce has over 30 years experience in the audio industry. Starting out in the music industry, Bruce worked with many internationally acclaimed artists including Bob Dylan, Blue Rodeo, Martha and the Muffins, the Spoons and many others. 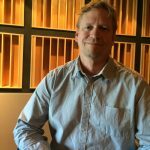 He expanded his skills into commercial, post production (film and television) as a sound designer and mixer and has been involved in many award winning projects including a gemini for best sound for ‘Leahy in concer’; a golden reel award for the Emmy award winning film ‘Sandy Bottom Orchestra’; as well as numerous awards at Promax. Bruce has also been involved in many projects showcased at TIFF. 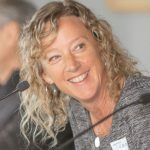 Tracey Friesen has been an active contributor to Vancouver’s media sector for over 25 years and recently published the book Story Money Impact: Funding Media for Social Change. 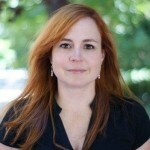 She is currently Director of Communications & Engagement at the David Suzuki Foundation. During her decade at the National Film Board, she earned credits on nearly 40 film and digital projects. Since the NFB, Tracey has done contracts with Mindset Foundation, Inspirit Foundation, DOC and Creative BC, plus was director of programming during the start-up phase of Roundhouse Radio 98.3 Vancouver. Other associations include Social Venture Partners, Women in Film & TV Vancouver, and the Academy of Canadian Cinema & TV. Sarah Margolius is a sustainability and marketing expert with twenty years’ experience in film and television production, distribution and various industries. 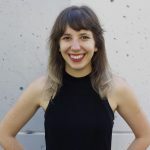 A certified Project Manager, Sarah helps businesses and municipalities reduce their environmental footprints, most recently with Partners in Project Green, an initiative of Toronto and Region Conservation Authority and Toronto Pearson, and independently with a range of organizations. 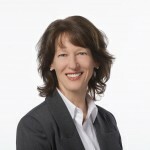 Sarah serves on the board of the newly established non-profit organization Sustainable Media Production Canada fostering environmental stewardship in Ontario’s film, television, and digital media industry. Sarah studied at McGill University, Humber College and OCAD University, and lives with her two boys in Toronto. Justine Pimlott is a multi-award winning Producer based at the National Film Board of Canada in the Ontario Studio. With over 20 years of experience in the industry Justine has a long history of bringing stories that are often marginalized to the screen. Her producer credits include; What Walaa Wants – Winner of the Special Jury Prize at Hot Docs 2018, A Better Man, Derby Crazy Love, The Mystery of Mazo de la Roche, Dish :Women, Waitressing & The Art of Service, Girl Inside, and the upcoming feature documentaries Inconvenient Indian & Borealis. 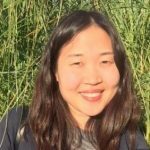 Milda Yoo is the Director of Sales & Acquisitions at Pacific Northwest Pictures, a Canadian film distributor that releases content across all platforms. 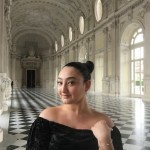 She has extensive experience in the film industry, specializing in digital, on-demand and broadcast sales and having previously held positions at Warner Bros. Entertainment, eOne Films and Alliance Films. In addition to her experience in distribution, she has worked at film festivals, served on festival juries and produces short films. David Hardy joined William F. White International Inc. in April of 2011 after a decade-long stint as business agent of the Toronto-based film technicians’ union, NABET 700. There, he was a key member of their management team and was integrally involved in the union’s collective bargaining process, training, recruitment and external relations. Mr. Hardy sat as the union’s representative on the Toronto Film Board for four years and for seven years on the board of FilmOntario. He continues to sit on the board of the Cultural Careers Council of Ontario. Prior to his time at NABET, Mr. Hardy spent six years working as a freelance production coordinator and was a charter member of IATSE 411. 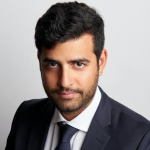 Mr. Hardy also has six years’ experience in non-profit arts administration and the travel industry, which have collectively contributed to an extensive network of contacts both inside the industry and out. 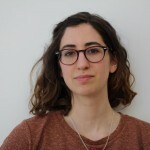 Olena Decock is an Industry Programmer at Hot Docs Canadian International Documentary Film Festival, overseeing the industry funds and conference. In this role, she works with filmmakers from around the world on their projects and oversees the organization’s investment in their work and professional development. As the conference programmer, she curates on-stage talks, master classes, and workshops for the annual festival. Olena has a background in festival programming, which includes two years as the Programming Associate to TIFF’s selections from the Middle East & Africa. She is the co-producer of the short film DZIADZIO, which world premiered at TIFF18 and was named by both NOW Magazine and Short of the Week as one of the top Canadian short films of the festival. Ontario Media Development Corporation (OMDC) supports the province of Ontario’s (Canada) creative economy by providing innovative programs, services and funding for the film & television. 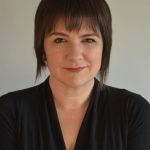 As Program Consultant, Film and Television Ms. Payne brings nearly 20 years’ of industry experience to the administration and development of programs and strategies, helping to drive innovation and growth in Ontario’s creative industries. Prior to her current roll at OMDC, Ms. Payne was Team Lead for provincial tax credits and held various management roles in programming, production and business/legal affairs with some of Canada’s largest media outlets including Bell Media and Rogers Broadcasting. Madelaine Russo is Industry Programmer of Deal Maker at Hot Docs in Toronto. Deal Maker schedules 700 one-on-one meetings between producers and buyers at the Hot Docs festival. 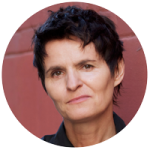 She also produces the Hot Docs crowdfunding event Pitch In, runs the blog – Hot Docs Jots, and produces the Hot Docs Guide to Decision Makers. Before joining Hot Docs, Madelaine ran the Alternate Realities Market at Sheffield Doc/Fest. She has also worked at short film distributor Ouat Media. She holds a Master of Arts in English and Cultural Studies. 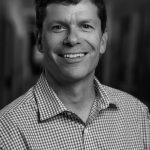 As a Senior Engineer for the City of Toronto’s Environment & Energy Division he is engaged in the design, execution and administration of programs and initiatives to support the City’s goals for a low carbon future through sustainable development. 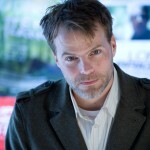 Julian Carrington is a freelance writer and film programmer based in Toronto. 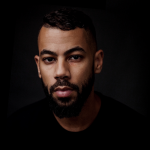 He has contributed to publications including The Globe & Mail, Indiewire, and Cinema Scope, and, in 2014, served as a programming associate with the Toronto International Film Festival. In 2015, he became manager of the Documentary Organization of Canada’s Festival Concierge initiative, supporting filmmakers in developing distribution and audience engagement strategies. Alessandra joined the Planet in Focus team in 2013 as a graduate of Ryerson University School of Media’s Radio and Television Arts Program. 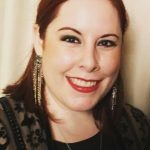 Engaging audiences through art is her passion, and in addition to Planet in Focus, Alessandra is an active singer and voice actor, with two decades in the North American entertainment industry. Her experience in production also includes coordinating media events such as Starwalkers: A Celebrity Tribute to MusiCounts and Crossmedia Banff.